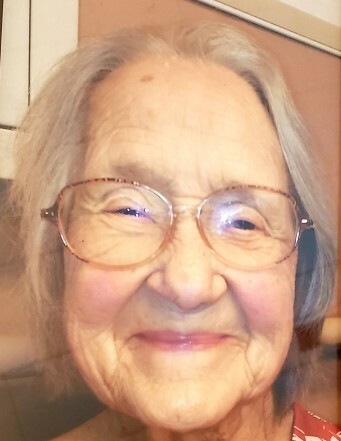 Marjorie F. Cox, 88, of Mount Holly, went home to be with the Lord on Wednesday, January 16, 2019. She was born in Iredell County to the late Elmer Lacey Fox and Mildred Washington Fox. In addition to her parents, she was preceded in death by her husband Norman Eugene Cox, Sr. and a brother Jerry “Pete” Fox. Those left to cherish her memory include her children Norman Eugene Cox, Jr, Edward Dean Cox, and Nena Louise Cox Johnson; two grandchildren Candace Wilkinson and her husband Brad and Haylee Jewel Johnson; as well as one great grandson Owen Wilkinson. Marjorie will be remembered for her 50 years of service as a Girl Scout Leader where she affected many, many lives. A service to celebrate her life will be held 2:30 p.m. Saturday, January 19 in the Woodlawn Chapel of Woodlawn Funeral Home, Mount Holly. The family will receive friends Friday, January 18 from 6 to 8:00 p.m. at the funeral home. Interment will follow the service on Saturday at the Cox Family Cemetery.